Solo is a unique destination and charming. Strategic location, the middle of the island of Java is certainly a haven effective. Equipped with complete transportation facilities such as airport, station, or bus, certainly facilitates you when heading to solo. Solo besides having the typical Javanese culture or known by Kasunanan Surakarta palace was also potentially others, such as the beautiful sights in Lawu mountain slopes, culinary or accessories of handicrafts solo. One of them is a craft Venetian mirror. Why is that?? Venetian mirror is already known throughout the world, because the mirror elegant design makes the designer hotels, apartments placing mirrors bedroom wall as a complement or a hotel lobby. Did you ever know where you can buy this mirror with low prices and of course with a good quality of?? The answer is in SOLO. Every time you search the internet a lot of choice Venetian style mirrors can you hanging in the bathroom, but where you can order?? The answer is in the solo. Solo is the only city that provides Venetian mirrors with lots of choices and lots of quantity. And also solo is one of manufacture Venetian mirrors that exist in Indonesia. Why in solo?? The explanation can be found in our previous article. You may never see a shop selling mirrors of this type, such as in Bali, Jakarta or during the exhibition and you have you ever wondered where they make it? It’s definitely in solo. It turned out that because it makes it difficult, to be in need of special skills to be able to do this job. It takes a high art, design cooked when a glass cutter, the right frame to a frame of this mirror. in addition, global competition from other countries that are also the manufacturer of this mirror makes suppliers Venetian mirrors solo much has been unable to compete. The effect of price increases glass and other materials added to make things worse. Apparently with the above circumstances do not cut down the spirit of youth is to keep producing Venetian mirrors. Always innovative design, giving competitive price and quality of the best become their mission. They are Margo Glass Gallery. The current design is that produced the hundreds. The style is like style oval, round or rectangle. Even today they can also make Old Venetian mirrors. Mirrors that created a new but have impressions of old; there are spots or black spots on the mirror it looked like natural and aged hundreds of years ago. 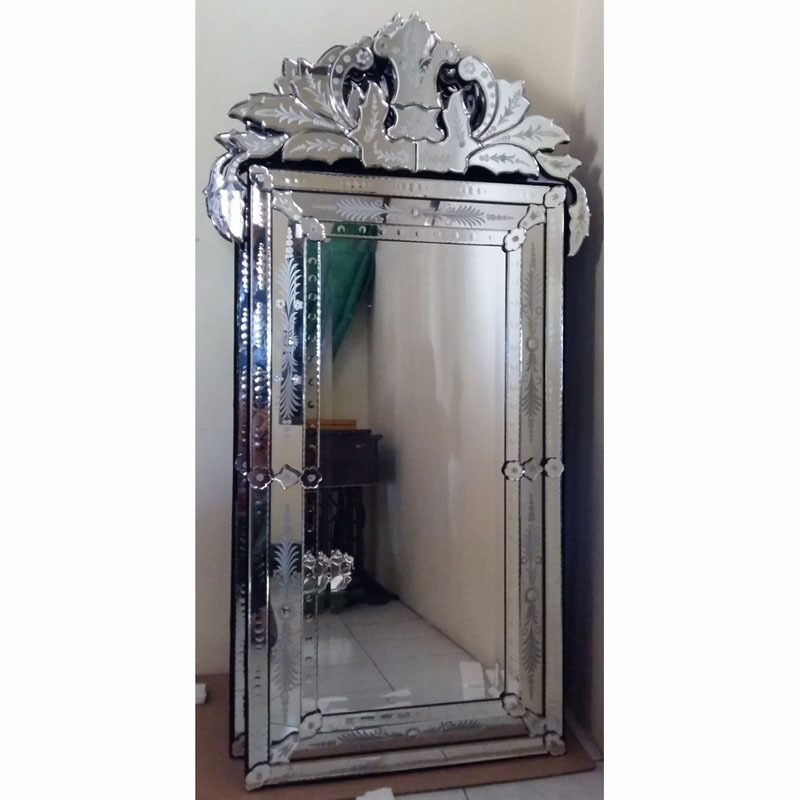 Therefore Venetian mirror is to be typical for the city SOLO craft as in Indonesia.